Online Analytical Mining (OLAM) is an architecture integrating data mining into OLAP. With this integration, data mining algorithms can be performed with OLAP abilities. OLAM enables users to choose a particular portion of data and analyze them with data mining models. Previous studies have provided examples of OLAM applications with the motivation to improve technical performance. 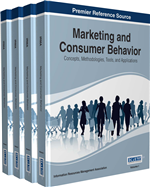 This chapter reviews the capabilities of OLAM and discusses the well-known concept encompassing the analysis of customer behavior. The underlying motivation of this chapter is to present the opportunities for the development of OLAM to support the customer behavior analysis. Three main directions of the advancement in OLAM are proposed for future research. The ability to analyze customer behavior to identify high-value customers and retain them has become the key success factor for a company (Lee & Park, 2005). To achieve this, customer data must be integrated from various sources and analyzed to help business learn about customer behavior and better plan marketing campaigns to strengthen customer relationship. Business Intelligence (BI) is one of the key technologies employed to consolidate and transform customer data into customer intelligence (Chen & Popovich, 2003). With the On-line Analytical Processing (OLAP) reporting ability, it provides users with multidimensional hierarchical data which business users can drill-down into more detailed data. This would require users’ skills using reporting features in data analysis. Relying on a human’s ability to analyze data could lead to errors in decision-making, especially with the case of using OLAP. Users need to use OLAP capabilities to discovery patterns hidden in the data by themselves. Peng, Viator, and Buchheit (2007) found that users did not put full effort in the data analysis. Users were found to make suboptimal economic decisions by choosing to investigate only information at an aggregate level. Consequently, they made incorrect decisions by ignoring information at the detailed level. As data volumes grow rapidly, manual data analysis seems to be impractical. Data mining is another key technology utilizing machine learning algorithms to extract patterns from data (Fayyad, Piatetsky-Shapiro, & Smyth, 1996a). These algorithms are designed to handle large-scale data effectively. Customer behavioral patterns can be extracted from transactions recorded. Business can learn about customer preferences and predict next best offerings. Although data mining models could be used to extract knowledge from databases, they are too complicated for users to interact with (Azevedo & Santos, 2011). If data mining can be simplified as step-by-step interactive data analysis like the OLAP reporting functionality, the process of knowledge extraction will be more flexible and transparent to users. Hence, Han (1998) proposed the architecture for On-line Analytical Mining (OLAM) to integrate data mining into OLAP. With this integration, data mining algorithms can be performed with OLAP abilities enabling different portions of data to be analyzed with data mining models. The flexibility of the analysis allows users to understand the process of data mining. Users can choose a portion of data in interest and use data mining techniques to analyze them during the process of the analysis. Previous studies have discussed different architectures of OLAM. Usman and Asghar (2011) demonstrated the use of hierarchical clustering to pre-process data. The results of the clustering were automatically generated as a dimension for an OLAP cube providing a new insight into data analysis. Kwan, Fong, and Wong (2005) used an OLAM methodology to discover customer behavioral changes on a web site by applying two measures of association analysis; support and confidence levels, to identify the association semantics of customer behavioral sequences on web pages. The discovered association rules are constantly updated into the OLAM models to reflect the actual on-line behaviors. Gao, Ni, and Zhao (2009) proposed a scheduling strategy for the OLAM process. OLAM tasks were classified into query tasks, mining tasks and updating tasks. The tasks were submitted simultaneously in order to reduce system workload. Evidently, data mining techniques can be used in combination with OLAP technology to gain a higher degree of flexibility in the data analysis. OLAM is believed to help users perform data analysis more efficiently and better interact with results of the analysis.